For iPads and iMacs as enhanced iBook or for ereaders as .pdf. Acrobat reader works best. This useful reference presents 1260 botanical terms, their derivation from Latin or Greek, a definition of the term and 550 illustrations to convey the meaning of the term. There is a full glossary of the terms as well as study cards. The reader will gain a practical understanding of the terminology required for plant identification and description. Have you ever had a close look at a plant and tried to make sense of the parts you are observing? Chances are you run into difficulties finding words and in understanding the vocabulary that botanists use to describe the features of plants. This illustrated glossary explains and describes the descriptive terminology of plants and their parts. 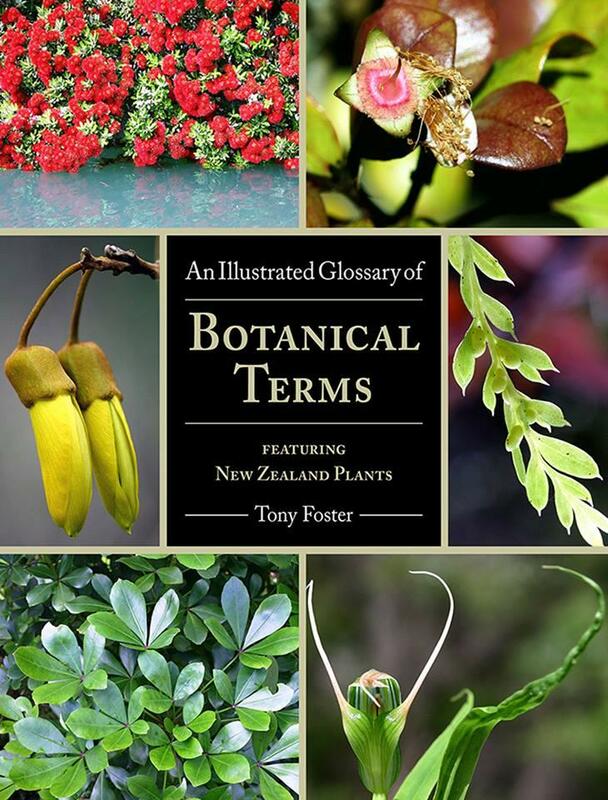 It illustrates and gives examples of the vocabulary used to describe, identify and classify plants. The stunning photography of New Zealand native plants together with the descriptions and captions speaks stronger than either could do alone. It is botany explained for the visual learner. If you are aware of the splendour and beauty of New Zealand plants then this book is a welcome addition to an existing library. The book is of immense value to anyone with an interest in plants as the examples illustrated are amongst families grown throughout the world. Welcome to the world's most intriguing flora of over 1200 endemic plants. The book is available as a .pdf file suitable for all ereaders and computers. Abobe Reader works best. Occasionally a book comes along that you know you've been waiting for. Learning to really see what nature is doing requires a special language. This reference book helps you name what you find. E-book reference tools are so helpful to travelers, explorers and adventures. The photos here are excellent examples of what you need to understand the concepts of horticultural wonders found in gardens and arboretums. Useful in any landscape. I found this book to be a very accessible botanical glossary reference. The pictures alone are stunning, but coupled with clear, "unstuffy" explanations, it brings a curious gardener one step closer to answering questions about why a plant might look (or act) the way it does, or is named the way it is; or merely confirms that what you might have considered abnormal growth is perfectly natural. It's not just for New Zealand plants, although that's part of the title -- the plants may be from New Zealand, but the terms are applicable anywhere. I'm an avid gardener from the other side of the world - on the northeast coast of the US. This fascinating book is an in-depth guide to the botanical language used by gardeners throughout the world. It also reveals the huge variety of very different plants that can be found in New Zealand. Consider the Illustrated Glossary to be a travel guide and a plant geek's bible all rolled into one!